Bitmaker Labs is Canada's premier web development learning centre and the largest of its kind in the country. We empower tech enthusiasts to build their ideas. We currently offer an immersive, full-stack web development program as well as part-time courses on both front end web development and user experience design. Our flagship ‘Web Development’ program is designed to give students career-focused education both front- and back-end development. Students learn by building several web applications over the duration of the 9-week course – from working through carefully defined, skill-building projects to selecting and creating their own final project. Over 90% of our hundreds of Bitmaker Labs’ Web Development graduates found work coding within 3 months of graduating. Toronto and Quebec City are hosting conferences and hackathons to get tech enthusiasts excited about creating new and creative solutions. A growing number of people in Toronto are spending up to $10,500 to learn digital skills like coding and web design they hope will propel them into the tech sector, with new schools opening up to meet the demand. At TechTO, Bitmaker Labs founder Andrew Mawer shared a story many startups can either relate to or want to know more about — the process of being acquired. Between November 25-27 at Bitmaker Labs, RegHackTO is inviting developers, designers, and strategists to collaborate on solutions. The former Bitmaker Labs CEO says he jas joined a "rocket ship technology company" with Toronto-based Ritual. Why Nudge.ai? Reach out to the decision makers at Bitmaker Labs with a personalized email - let them know that you found their recent news mention interesting. Nudge.ai’s relationship intelligence platform can help you find the right executive to reach out to at Bitmaker Labs, such as Dan Comand, Admissions Manager, or Lidia Sienkowska, Director of Community & Student Experience. Then get in touch and start a conversation. Executives can be difficult to reach, but every company has connectors who bring together people and ideas. At Bitmaker Labs, people like Dan Comand, and Mike Jarrell are likely connectors. When Bitmaker Labs is mentioned in the news, Nudge.ai often sees topics like Toronto. If your conversation focuses on these topics, you’ll probably get Bitmaker Labs’s attention. When Bitmaker Labs is mentioned in the news, companies such as Arkadin, OMERS Ventures, and Bennett Jones LLP are often also mentioned. These companies can serve as customer examples. Employees who are often in the news are usually open to starting conversations or exploring ideas. Nudge.ai's sales AI saw Duncan Mccall, Andrew Mawer, and Richard Li from Bitmaker Labs recently mentioned in the news. 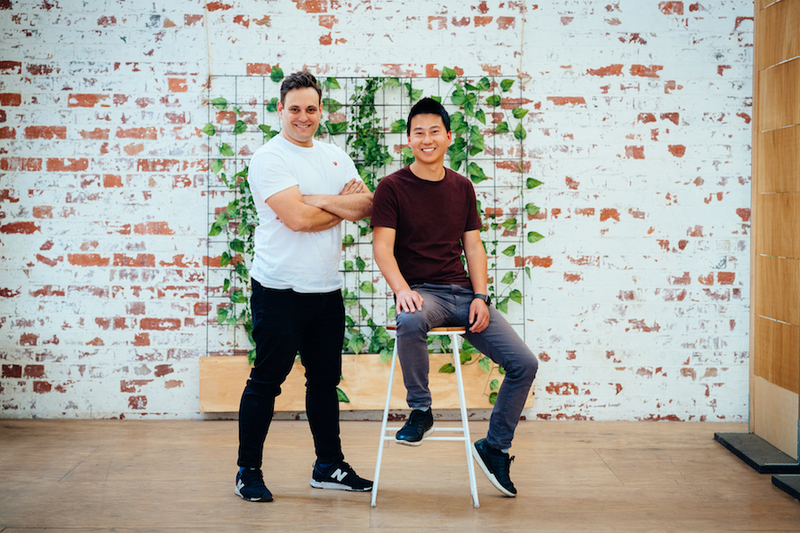 July is the latest ecommerce venture for its cofounders: Athan Didaskalou founded Three Thousand Thieves, while Richard Li cofounded Brosa. Who in your network can introduce you to Bitmaker Labs? Nudge.ai finds the best pathway to reach contacts at this company.